opening review for you. One of the things I like about Flight Simulator, is it’s versatility. You have youngsters from the early ages to the oldest of whom can barely see the screen. I know one simmer that is almost 90 years old. Now that’s real enthusiasm. In this day and age of changing technologies, you experience something new almost daily, of which you hardly have time to get used to it before it’s obsolete. My goodness think what it would be like if we were using a hundred percent of the brain’s capabilities. subject of my review. A Beechcraft D17 Staggerwing. a little BIP called a Beechraft D17 “Staggerwing”. To my recollection there have only been about four designed from FS5 to present day. Brian Gladden updated a version by Paul Clawson to FS2002 not too long ago that you can visit and acquire at his site. It comes in two flavors, a land version and a seaplane version. The one we’re going to review today is one by a fellow from the other side of the world. Andrey Tsvirenko has created a wonderful Staggerwing that will make any bush pilot proud, or any other pilot as far as that goes. The first time I ever saw a Staggerwing up close and personal was at Oshkosh in 1997. And I must say, Andrey has captured the very essence and beauty of the D17 in two models. One a land version and of course a seaplane version. The first thing you notice about the aircraft is the graceful lines which in my book makes this one of the most beautiful bi-planes of all time. Andrey has of course added all of the features of an FS2002 model, opening doors including a cargo door plus a cargo flap, and an opening cowling which shows off the beautiful engine work. 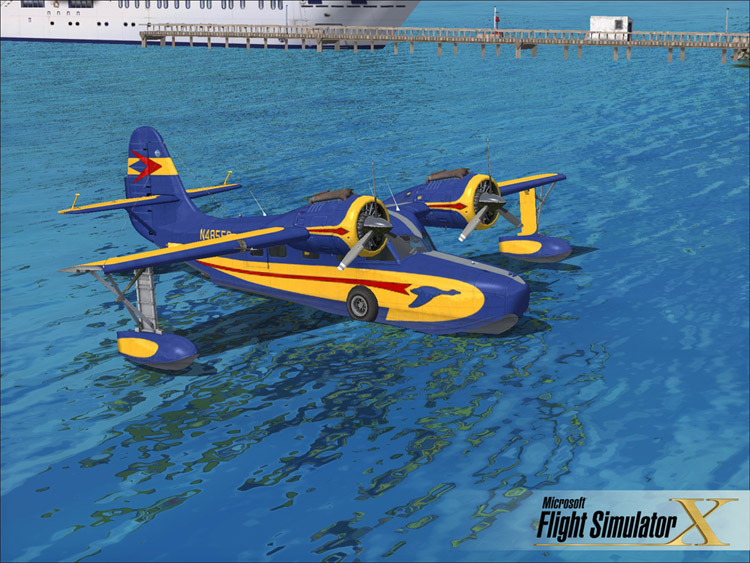 The undercarriage and landing gear has plenty of detail for you to see and nicely animated suspension and rolling wheels along with all control surfaces and for the seaplane version Andrey included water rudders. Of course it has fS2002 style night lighting. FS2002 even more with folded wings, tail-hook, cowling and others. You would think by now Microsoft would just include say fifty (50) triggers you could assign for any effect you want to create. glimpse of the detailed engine (shown above). The aircraft also has a pretty well thought out virtual interior. 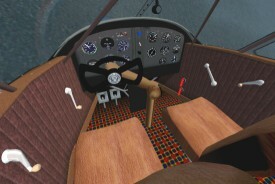 “wing fold” triggers to move the seats forward and back. And if that’s not enough, on the seaplane version Andrey uses the landing gear “g” key to raise and lower the Pilot’s window. By the way is a differently styled pilot from the Land version. A BUSH pilot as it appears to me and in the Land version a Military styled pilot. his gauges in foul weather or something. It’s the little details that seperates us from the mediocre at times. 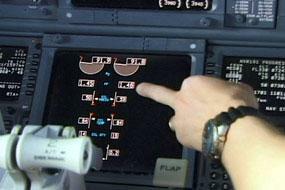 panel with plenty of gauges to monitor most of the engines’ functions. the panel for my own personal visual experience. no exception. But you can rest asured for a mere $10 you are surely getting more than your moneys worth with this little jewel. Beechcraft, D17. Bi-Plane. Anheuser Busch. Bud Light. diecast metal, Bank. RARE.